Rothenberg Fortress is a fortress on the eponymous hill, 588 m above sea level. The fortress was built entirely of brickwork. This was sixteen metres high on all sides and had vaulting on the inside, ten metres high. There were two, two-storey barrack buildings inside the fortress, an armoury, the garrison headquarters and a church. 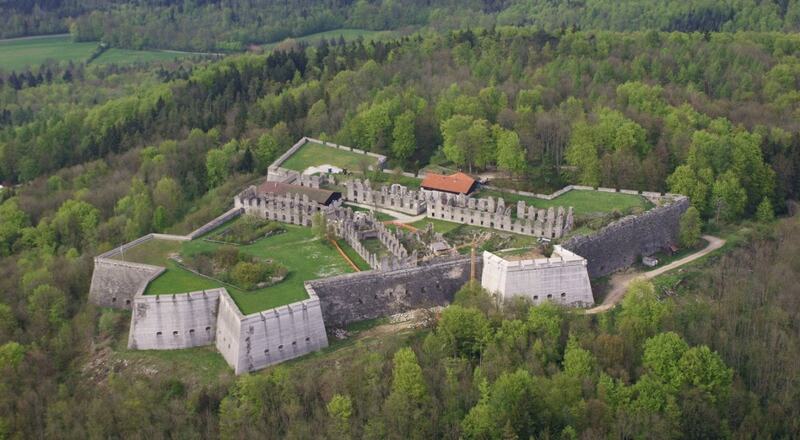 Built to counter the imperial city of Nuremberg only 25 kilometres away, the fortress was intended to guard the Bavarian border and the Electoral Bavarian enclave near Schnaittach from the city. In 1838 the Bavarian Minister of War sold the entire inventory, including doors, beams and everything that could be removed. The fortress was abandoned and fell into ruins. It was used as a quarry for the construction of Nuremberg Central Station. In 1876 explosive demolition testing was carried out on the ravelin. The site may be visited as part of a guided tour. The underground casemates are out of bounds from November to April in order protect bats.